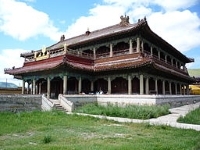 Got a question or comment about Attractions in Mongolia? Ask a Travel Expert! Spend a single night in Mongolia under a canopy of stars and it's easy to mistake it for another planet. There are few tarred roads in this rugged terrain and the main urban centre, Ulaanbaatar, is small, so don't expect modern luxury. Rather, people come here for its natural beauty, unaffected by the bustle, stress and pollution of modern life. Every journey through the wilderness here is an adventure into remote territory. Mongolia is famous for its landscape, with the ice-capped peaks of Bayan-Olgii, the roaring river mouth at the Yolyn am, the surreal white limestone cliffs at Tsagaan Suvarga and the lush lakes in the Khuisiin Naiman Nuur Natural Reserve. 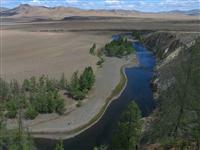 Strap up your boots and step down the rough and rewarding pathways of Mongolia. Whether for hunting, fishing, horse riding or trekking, most tourists come in the summer. A visit to Mongolia is incomplete without accepting local hospitality and experiencing their traditions. The famous Nomadic lifestyle of the Mongols exists as part of everyday life here and the people are warm and friendly to foreigners, and proud to share their customs and heritage.